BUET-JIDPUS, in association with Department of Architecture, Department of Urban and Regional Planning, Institute of Water and Flood Management of BUET, Urban Resilience Project: RAJUK Part and Bangladesh Fire Service and Civil Defense (BFSCD) have jointly organized the 2nd international conference of this institute titled as “International Conference on Disaster Risk Management 2019 (ICDRM 2019)” on January 12-14, 2019. 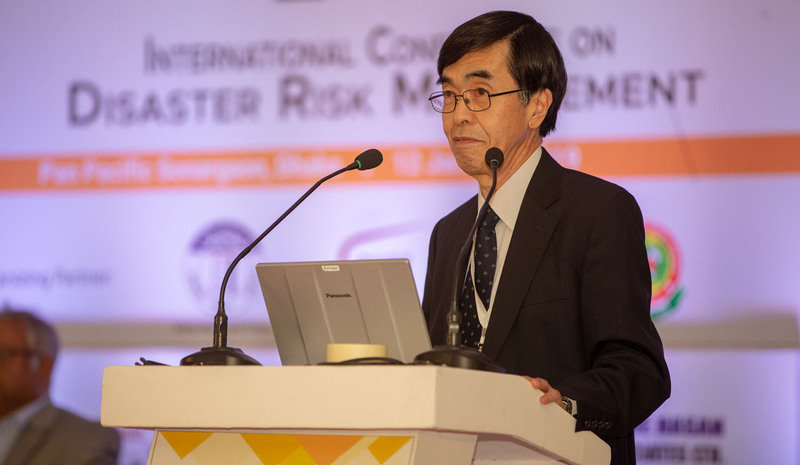 The conference focused primarily on the application of engineering and technology, social and policy aspects for the implementation of disaster risk management. 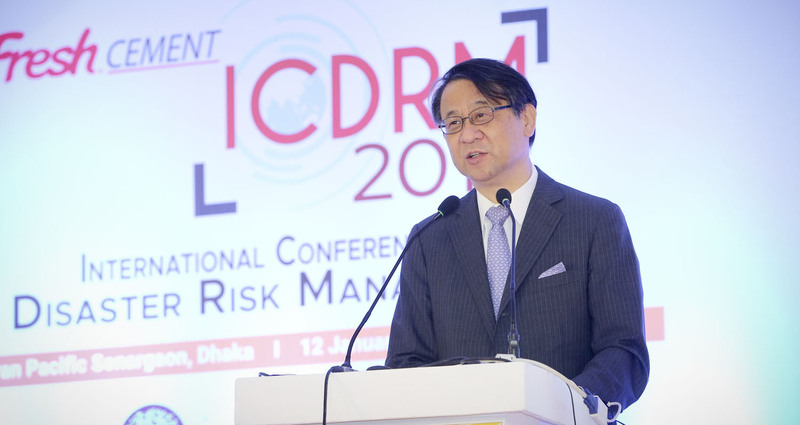 ICDRM 2019 covered the following six themes with a view to address the multi-dimensional issues- Hazard, Vulnerability and Risk Assessment (HVRA); Adaptation, Prevention and Mitigation (APM); Warning, Preparedness and Awareness (WPA); Emergency Management, Recovery and Rehabilitation (EMR); Mainstreaming Disaster Management (MDM) and Climate Change (CC). 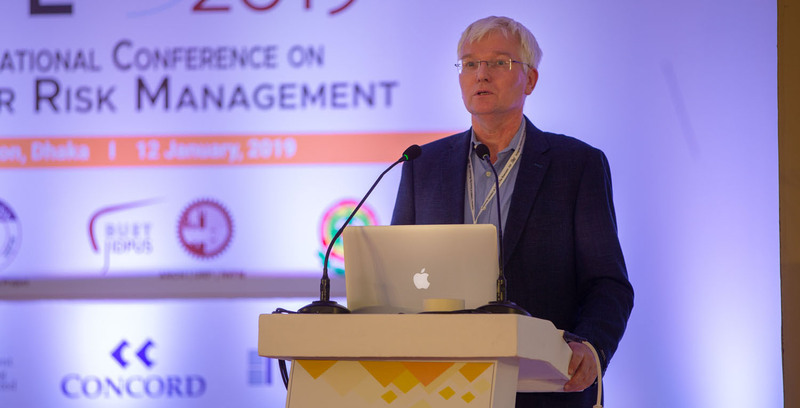 The program started with a grand inauguration ceremony at the OASIS, Pan Pacific Sonargaon, Dhaka on January 12, 2019 (Saturday) at 10:00 am. The rest of the sessions were held in the ECE Building, West Palashi Campus, BUET on 13th and 14th January 2019. An exposition comprising of depiction of different stalls was also held in the West Palashi Campus from 12th to 14th of January. A total of 238 abstracts were received from different parts of the world for the conference out of which approximately 128 papers of different fields were finally selected to be presented in different sessions of the conference. The conference is chaired by Prof. Dr. Saiful Islam, Honorable Vice-Chancellor, BUET. His Excellency Hiroyasu Izumi, Ambassador of Japan to Bangladesh was present as the Chief Guest and National Professor Dr. Jamilur Reza Choudhury, Honorable Vice-Chancellor, University of Asia Pacific was present as the Guest of Honor. The speakers who attended the conference are: Prof. Dr. Ainun Nishat, Centre for Climate Change and Environmental Research, BRAC University; Dr. Kazuo Konagai, Professor Emeritus, University of Tokyo; Dr. Kimiro Meguro, Professor, Institute of Industrial Science, University of Tokyo; Mr. Patrick Coulombel, Architect, Architectes de l'urgence; Dr. J.W.F Wiersma, Research Fellow, BUET-JIDPUS; Dr. Stefano Tsukamoto, Professor, Osaka University, and Dr. Deepak Chamlagain, Assistant Professor, Tribhuvan University, Nepal. 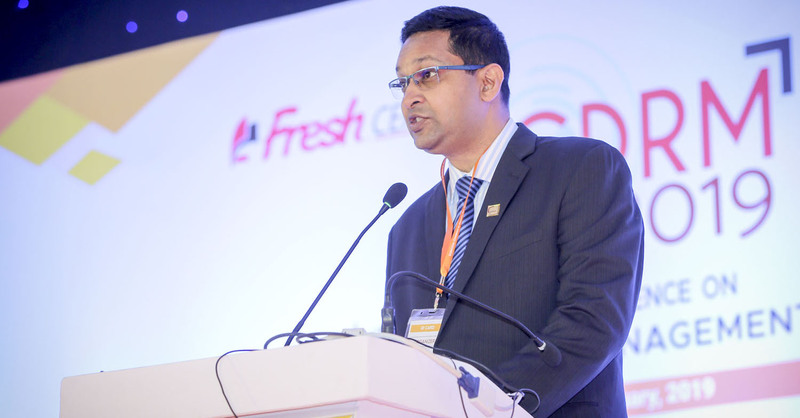 The first day comprised of speeches from the keynote speakers and the other guests. Day two started with a Project display session which was followed by the commencement of paper presentation of the finally selected papers. 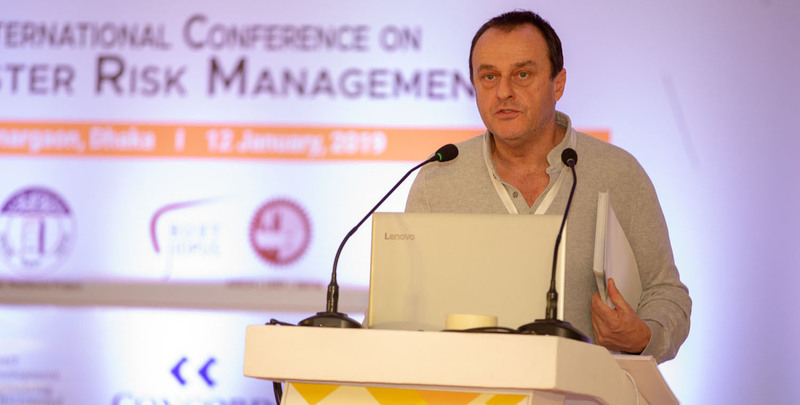 The paper presentations took place on the 13th and 14th of January in between which there was a ‘Close Door Session’ followed by a Conference dinner on 13th. Future collaboration among the professionals and academicians in the field of disaster management was the prime focus of this session. On 14th January, the conference ended with a Closing ceremony which was chaired by Prof. Dr. Farida Nilufar, Dean, Faculty of Architecture and Planning. Prof. Dr. A.M.M Safiullah, Honorable Vice-Chancellor, Ahsanullah University of Engineering and Technology was present as the Chief Guest. Later at the ceremony, ‘Best Paper Awards’ were given to the selected best papers from different themes.